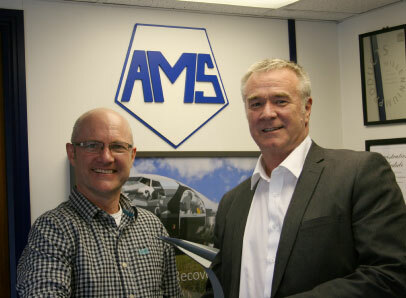 Paul Caswell, Aircraft Recovery Manager at British Airways (and IATA Airline Member) presents Mark Knight, Technical Director at AMS Systems Engineering Ltd, with IATA’s 10th Anniversary Award. AMS is the first IATA Member to achieve this level of recognition, which reflects the company’s contribution to IATA’s Strategic Partnership Program over the past decade. AMS Systems Engineering Ltd is the first Strategic Partner to reach this milestone and the only IATA Member to have achieved this to date; endorsing their commitment to the aircraft recovery industry.